Data loss is an inconvenience any way you look at it. You would be hard put to find something pleasant about not being able to access files, videos and images that is of importance. But data loss and prevention go hand in hand. This means that only when you understand what causes the maximum and most frequent instances of data loss can you eliminate the underlying reason and enjoy some level of protection. Pre-emptive action is the call of the day. So here is a compilation of tips and tricks that are based on the most common reasons behind data loss. Distractions are all around us. You may be perusing the pictures from your mother’s birthday party and suddenly your acquaintance sends over a whole bunch of clicks from her much hyped bachelorette bash. What do you do? You may want to go right ahead and delete every single offending image. But in haste, you end up trashing a few of your mom’s precious memories as well. Not good! This same scenario may be repeated in the context of apps. Often children play with Android phones and enthusiastically meddle with every application that you have ever installed, deleting some in the process. The best way to get around this problem is to add a step to the sequence leading up to deletion. 1. Apps that lock (and in some cases even encrypt) files and folders so that you can never really delete items in your memory and gallery without fully intending to do so. Mere viewing of the files calls for inputting a password. If you are on a “deletion spree” and you have purposely secured certain files, they will resist being deleted on a whim. 2. 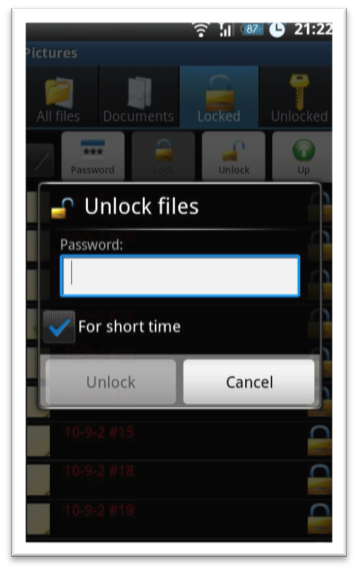 Apps that lock access to other applications. Make the Device Manager (Go to Security under Settings and navigate to “Device Administration” to set new Device Administrators). These nifty solutions ensure that snoopers can’t browse your private app data and you can’t accidentally delete important applications. Both variants are available at the Google Play Store. Just read the reviews to get a good idea of which app works the best to leave behind the habit of deleting with impunity. An Android device may crash because of physical trauma like falls and in some cases, processor overheating. While there is no app available that can improve the grip on your phone, overheating can be taken care of quite easily. You will need a utility that can monitor how much processing power each application is consuming and force-stop the ones that are loading your device, hampering performance, and pushing you closer to a system failure. 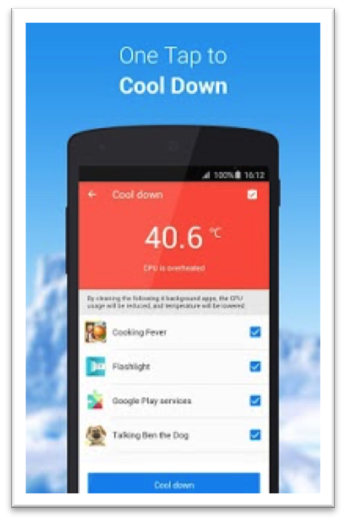 There are many alternatives available, some of which continuously monitor the apps and others send notifications of degrees knocked off from the device and cooling achieved. Lost Android devices account for more than 40% of the data loss. When you leave your phone unattended and someone else picks it up, you have no option but to wipe the data that is present in your device. Actually losing physical access to the existing information in the device. To get over this problem, a regular regime of creating backups or the habit of shifting important files to a cloud syncing application like Dropbox are the only recourses. Losing control over how the data is used. This is even scarier than data loss. All you need to do is install an application that can wipe all traces of personal information and assets from the device based on a certain number of password attempt failures or from a command that is issued by you. 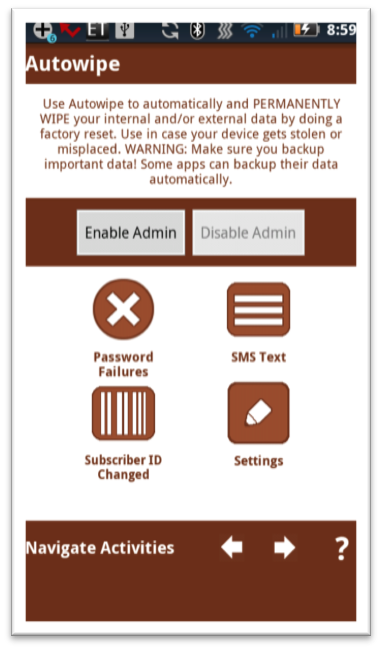 Rooting or unlocking “superuser” rights of an Android device can also lead to data loss. If the rooting process is interrupted mid-way or if it doesn’t go through as desired, you stand to lose everything – files, images, text messages, videos and even installed applications. Circumvent this obstacle by using a robust data backup solution that can take a snapshot of the content and app settings so that the device is effectively restored to its pre-rooting state. So there you have it – a list of Android data loss and recovery tips. Where data loss is concerned, an ounce of prevention is better than a pound of cure. Most recovery software solutions end up doing a partial retrieval. There are factors like how many times the device has been used after data loss to impact the final outcome. Take regular back-ups and use anti-malware apps to plug as many of the holes that lead to data loss as possible.